Bank Of America Liable For Fraud In Countrywide Mortgages : The Two-Way The verdict in the month-long trial is considered a rare win for the Justice Department in a case stemming from the housing crisis. The Countrywide Banking and Home Loans office in Glendale, Calif., in an April 2007 photo. A Manhattan jury has held Bank of America liable for fraud related to bad loans its Countrywide Financial Corp. unit sold to Fannie Mae and Freddie Mac as the housing market soured. The verdict was returned on Wednesday after several hours of deliberation in a month-long trial that focused on loans Countrywide completed in 2007 and 2008, as the housing crisis was already underway. 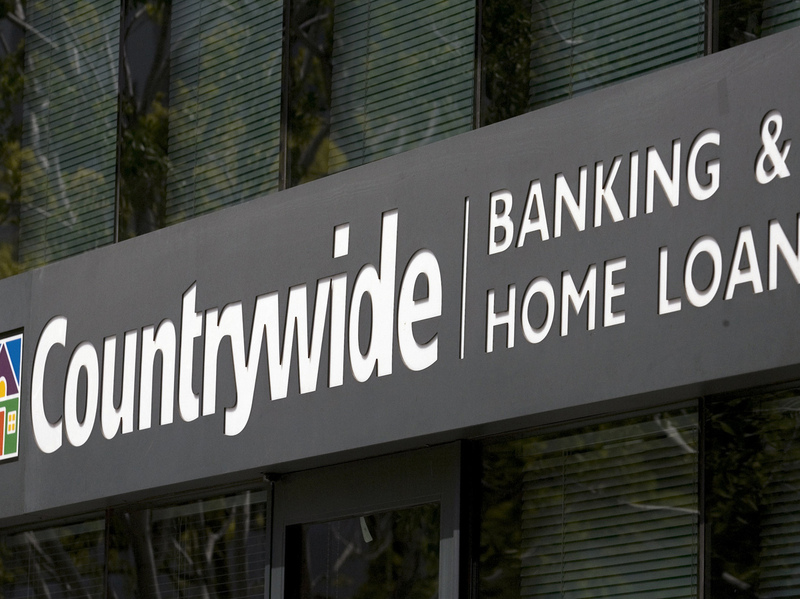 Countrywide was acquired by Bank of America in 2008. The federal government's rescue of Fannie and Freddie has cost taxpayers tens of billions of dollars. The jury also found former Countrywide executive Rebecca Mairone liable on one count of fraud. "The verdict is a win for the US government as this is one of the few cases stemming from the financial crisis that it's taken to trial. 'In a rush to feed at the trough of easy mortgage money on the eve of the financial crisis, Bank of America purchased Countrywide, thinking it had gobbled up a cash cow. That profit, however, was built on fraud, as the jury unanimously found,' US Attorney Preet Bharara said in a statement. Bank of America plans to appeal. The bank said in a statement, 'The jury's decision concerned a single Countrywide program that lasted several months and ended before Bank of America's acquisition of the company. We will evaluate our options for appeal.'"